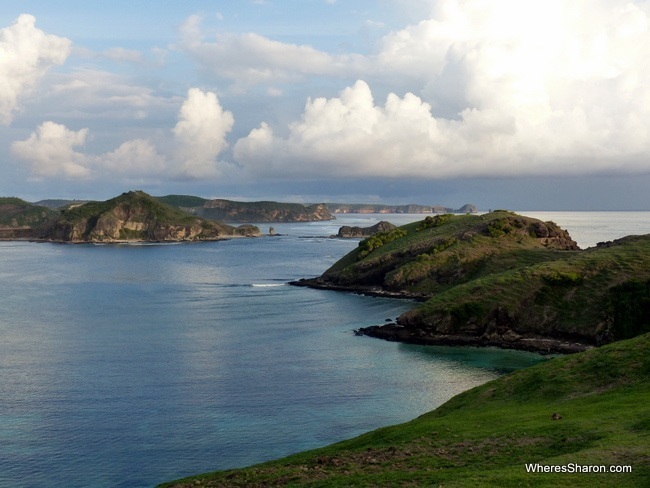 The gorgeous island of Lombok could not be more worthy of your precious holiday time. This lesser known island just over the Lombok Strait from Bali packs a huge punch when it comes to beauty and natural attractions. It’s gorgeous. Other than its beauty, Lombok has plenty more in its favour as well. There’s traditional culture, lush forests, superb beaches, great hiking trails and Indonesia’s second largest volcano. The best part about this is that Lombok is incredibly easy to reach from Bali and has what I would consider the perfect level of tourism – enough that there are great resorts and everything is easy to arrange, but not so many that you ever feel crowded or like you can’t easily find a spot to yourself. It doesn’t have the huge traffic jams or trash of Bali. There is much to love about this island. We have visited Lombok twice, and I can’t wait to go again. 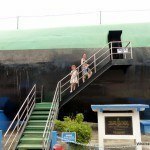 Below you will find our guide to what to do in Lombok Indonesia, visiting Lombok with kids, how to get to Lombok from Bali, the best hotels in Lombok and other information you need for an awesome visit! 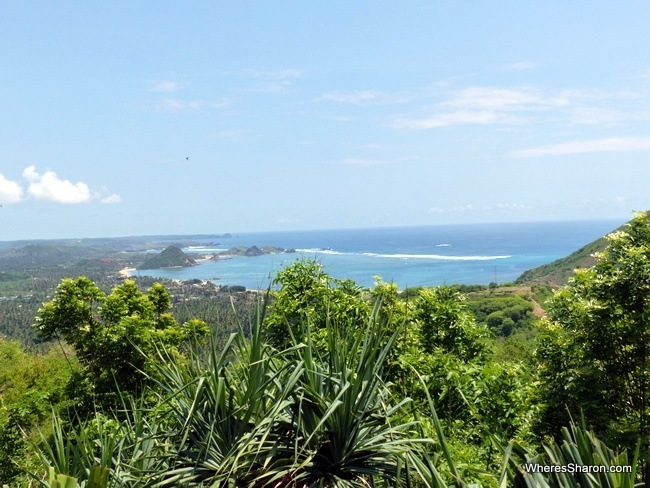 On Lombok’s southern coast is the small town of Kuta, Lombok. This town should not to be confused with Kuta, Bali – they are nothing alike. Home to a lovely set of beaches, Kuta is a place that does not have a lot but has enough of everything you need for a stay. There are a few shops, a selection of places to stay for different budgets, a few places offering laundry, a couple of places offering massage and a selection of warungs, restaurants and bars. There’s also a few shops offering help with transport or organising diving or snorkeling trips to nearby beaches. The beaches themselves are undeveloped, with some temporary stalls and a toilet (with some change rooms) the only structures near the wide belt of sand. The sand itself is a lovely pale yellow and very soft close to the water, with far less coral than the beaches of the Gilis. There’s a tiny bit of rubbish around but the sand itself is clean and these are some of the cleanest beaches I’ve seen in Indonesia. The beaches are popular with locals and when we visited, there were lots of people from other parts of Indonesia there for their New Years holidays. There were lots of stalls selling cold drinks and snacks to cater to everyone. While there isn’t many things to do in Kuta Lombok itself, this is a great base from which to see more of Lombok. Looking out towards Batu Payung (the umbrella stone) in the south of Lombok from Bukit Merese. Lombok’s southern coastline provides some great places for viewing the beautiful tropical sunsets. With the heat out of the day and a gentle breeze, watching a sunset from a great vantage point is surely one of the best things to do in Lombok Island. The view of Tanjung Ann’s great beach from Bukit Merese. Tanjung Ann, a little east of Kuta, has some hills from which you can watch the beautiful sunset (clouds permitting). I was lucky enough to go as part of a tour organised by our hotel, the Novatel Lombok, which meant I didn’t need to organise transport. It’s a gentle hike up the hills which are covered in grass allowing you to lie down and watch the sun sink into the sea to the sounds of the surf. Around Kuta are lots of similar hills that make for great sunset spots and it isn’t hard to find one. It was a bit disappointing to come back to this beach that we can remember being lovely from our visit in 2008. This time, we found a dirty beach with lots of trash and more touts than tourists – and we were here at a peak time. There are a few nice restaurants lining the beach – we had a good meal at The Office and it did look pretty as the sunset. It was a tease though and Mr Z ended up upset when we wouldn’t let him build a sandcastle because of the trash. We did enjoy a little splash though. For your Lombok things to do list, I recommend one of the neighbouring beaches to the north rather than this one. Ask your hotel which one they recommend. There are beaches basically everywhere so it is not hard to find one. 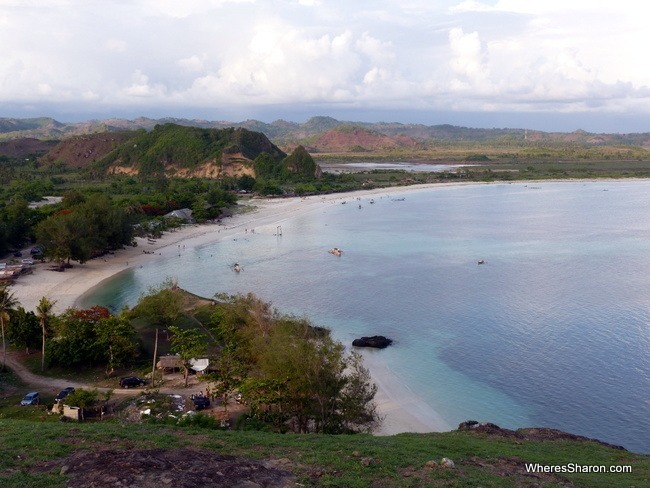 Selong Belanak is a gorgeous, beautiful beach on the south coast of Lombok. 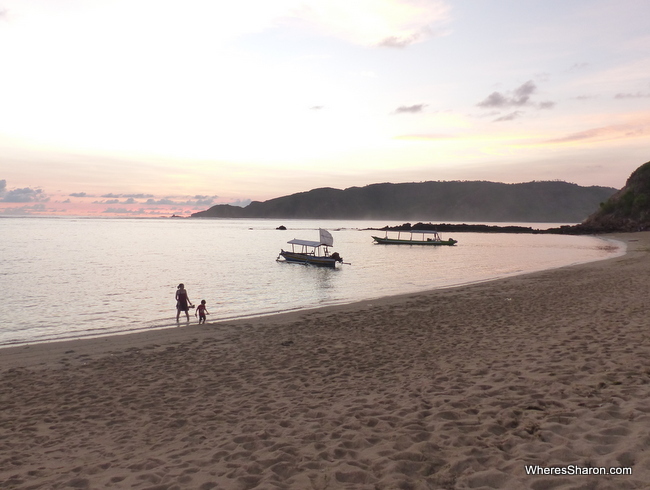 Beach bums and people in Lombok with kids should definitely be including this on their Lombok what to do list. It is picture perfect with beautiful sand, water and views. The local stallholders also make a big effort to keep this beach clean and clean it twice a day which we really appreciated after so many trash filled ones in Asia. There are lounge chairs can pay to use, as well as plenty of places to get drinks and eat. It is a popular place to learn to surf and it’s easy to just turn up and take a class whatever your age. We liked how there were lots of Indonesian tourists and not just foreigners. We were there on the last day of the Indonesian school holidays which ensured that there were plenty of people – it is likely to be less busy when your visit. The kids loved having all the local kids to play with though. 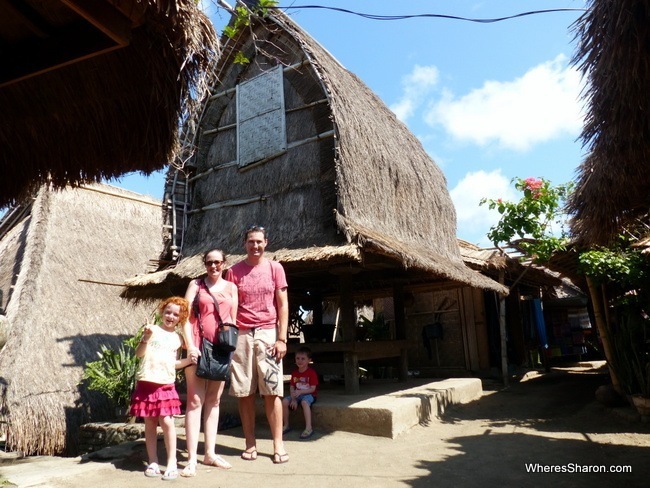 Another of the things to do in Lombok Indonesia is to visit the Traditional Sasak Village. Sasak is the name of the indigenous people of Lombok and they make up the majority of the population of this island. 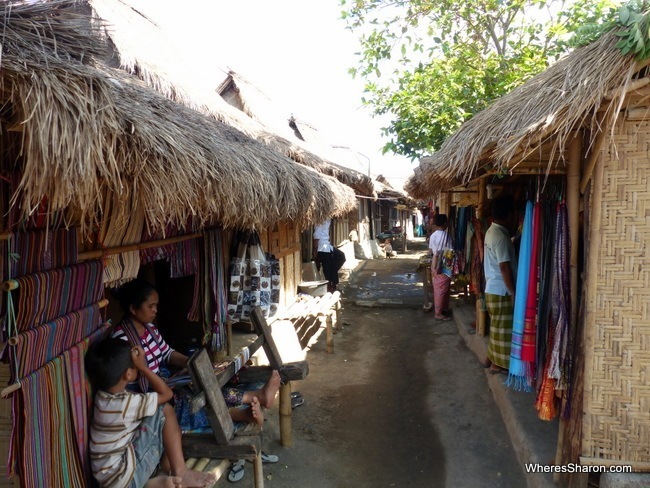 In the southern part of the island, not far from Kuta, you can visit the Traditional Sasak Village. It’s set up for tourists but it is still very much a lived in village which gives it an interesting feel. We had a tour around the village with one of the villagers. He spoke great English and was up front about asking for a donation at the end. He gave us some interesting insights into life there and we walked around, looked inside some houses, saw their temple, how they store food etc. We learned about some of their traditional customs, like what they do when they want to marry someone. The man kidnaps the woman! He takes a risk though as she can say no and then he pays a fine. It is quite touristy but at the same time, this is actually where people live, we found the tour interesting and its worth a look. The kids find this sort of stuff fascinating so it was a huge hit with all of us. Located in between Kuta and the Sasak Traditional Village is the Ashtari Restaurant. 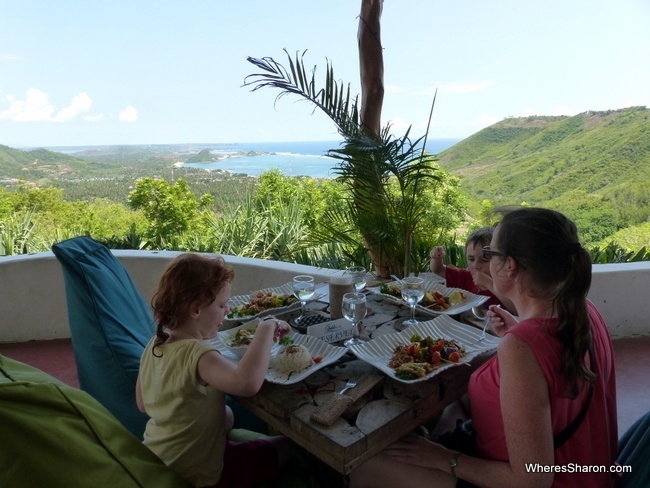 It’s a great place to stop for lunch with views to Kuta and beyond. The food is also great. 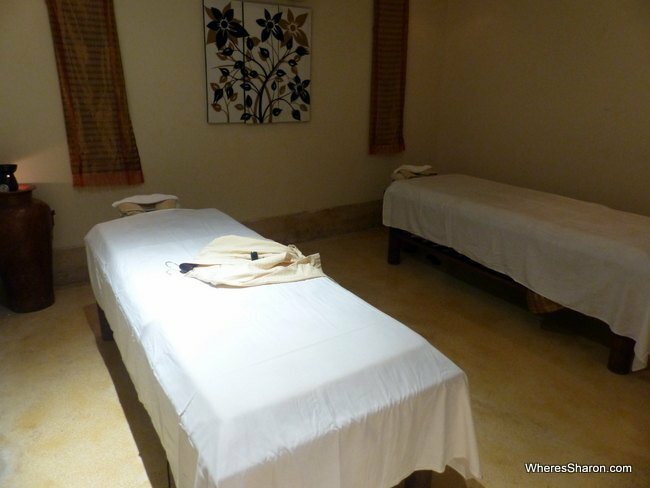 I think it’s nearly criminal to visit a beautiful tropical island and not have a massage – so definitely try to find time when working out what to do at Lombok for a day spa visit or at least a massage. J had a great one at the Novotel Lombok, but it is not hard to find other places in the more touristy part of the islands. For active people, you may want to consider hiking up Mount Rinjani, an active volcano and Indonesia’s second largest when working out what to do on Lombok. This volcano looks beautiful! I must admit that I have not done it. It involves a multi day hiking tour and with young kids, that’s just not going to work for us. I definitely want to get there one day! The crater lake looks beautiful. One of the most popular things to do on Lombok is actually to leave Lombok – but just for the tiny Gili Islands a hop, skip and jump away from the NW mainland of Lombok. The Gili Islands are beautiful, fun and with enough things to do to fill a week or more but also with plenty of reasons to just take it easy and relax. You don’t have to stay on the Gili Islands, however. It is easy to take a day trip over to the Gilis while exploring Lombok. They are only a fast boat ride from Bangsal on Lombok and boats leave regularly. There are also beautiful views out to the Gilis from Lombok. Read more about the Gili Islands in our full guide. We visited Lombok with our 3 and 5 year olds and I was also pregnant. We found it a fabulous destination with kids! The many outdoor attractions make it very easy with little ones and while they may not appreciate the beauty of their surroundings, if they are having fun running around on the beach, who cares? While there are not many specialist things to do in Lombok with kids, we had no problems taking our kids around pretty much everywhere. 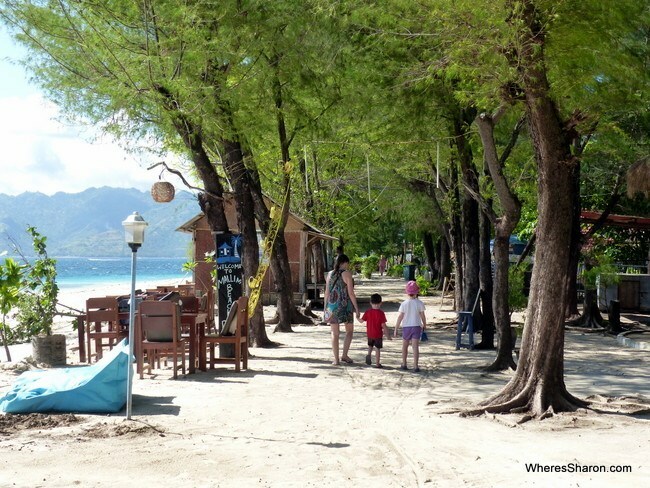 Kids were always welcome and there is a bird park and turtle conservatory on the Gili Islands which work especially well. All in all, we think there is much to do in Lombok for kids, the locals are welcoming and it’s just a great place to visit for all ages. 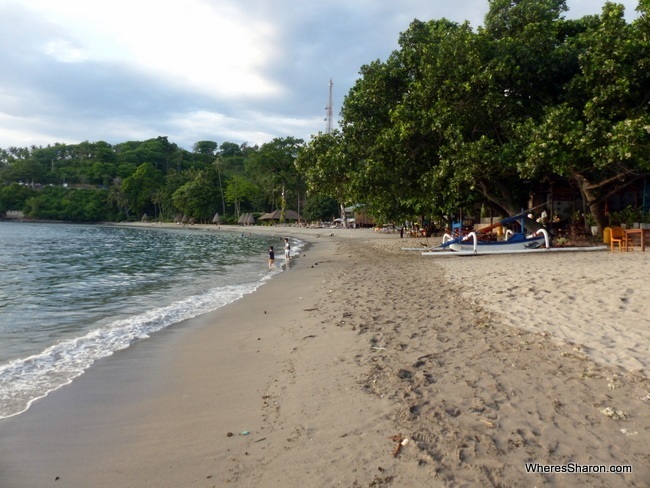 We have stayed in both Senggigi and Kuta on Lombok as well as the Gili Islands. Senggigi is a good choice for Lombok accommodation if you want somewhere very easy – there are lots of hotels and restaurants and you can easily day trip to the Gili Islands. Kuta is the best choice if you want somewhere with great beaches that is less touristy (but still with plenty of services) and convenient to the airport. We really enjoyed our stay there. 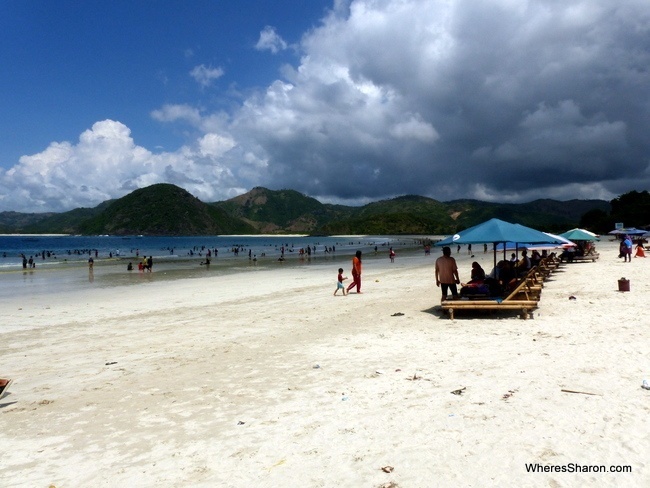 If you’re looking for a beach to relax by and swim at then the beaches of Kuta are some of the nicest in Lombok. This makes Kuta a better choice than Senggigi if you’re after is a good beach first and foremost. 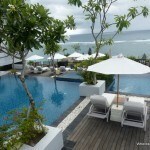 Click here to see accommodation options in Kuta Lombok. Senggigi has more of the best resorts in Lombok, accommodation and places to eat and drink but a lot more people, noise and a dirtier beach plus its bigger and you can’t walk everywhere. 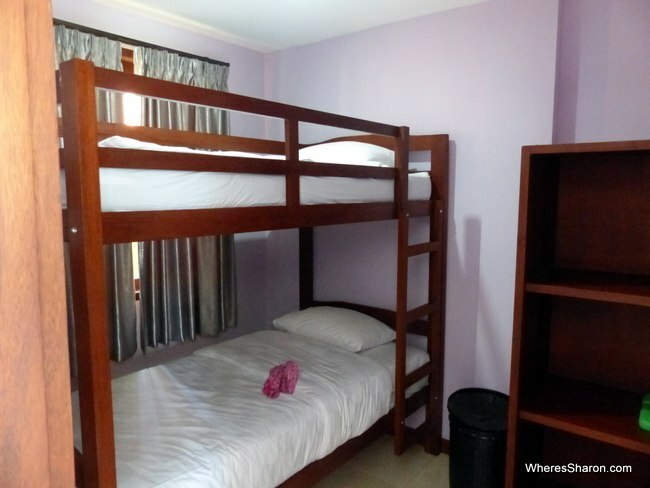 Click here to see accommodation options in Senggigi. 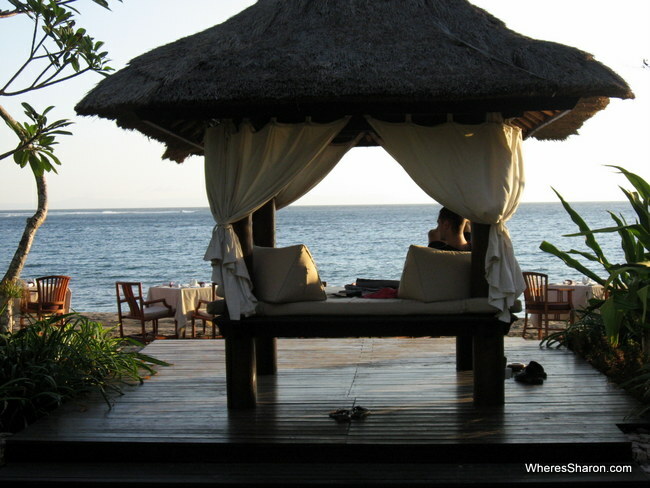 There is also the option of Lombok resorts on the Gili Islands. They are only about a 20 minute ferry ride from Lombok and we highly recommend spending some time there as well – read more about them here. Novotel Lombok Resort and Villas – Perfect option close to Kuta Beach with its own lovely beach. There’s also pools, restaurants and a great activity schedule for a very reasonable price. Click here for the latest prices. Sheraton Senggigi – beautiful resort at one end of Senggigi Beach with fabulous facilities. Click here for the latest prices. 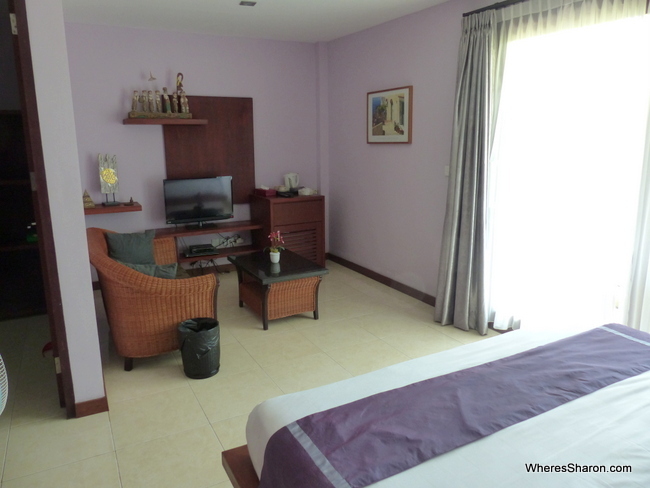 Melasa Hotel/House – bargain accommodation just outside Senggigi with beautiful rooms and a lovely pool area. Click here for the latest prices. We loved our stay at the Novotel Lombok. 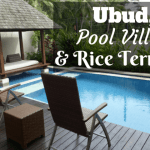 This is the perfect place if you are looking for accommodation in Kuta Lombok or the southern part of Lombok especially if you want a nice resort with plenty of things to do. There are many room options including many that are suitable for families with connecting rooms at 50% off for the second room. There are also villas, some with private rooms. We stayed in a superior room which had the bonus of a day bed which was plenty big enough for our kids. Kids are free in the same room as parents. The Novotel Lombok has pools, a day spa, shop, restaurants, kids club, is beachfront – it has everything you could need. Where it really stood out for me, however, was all the included activities! 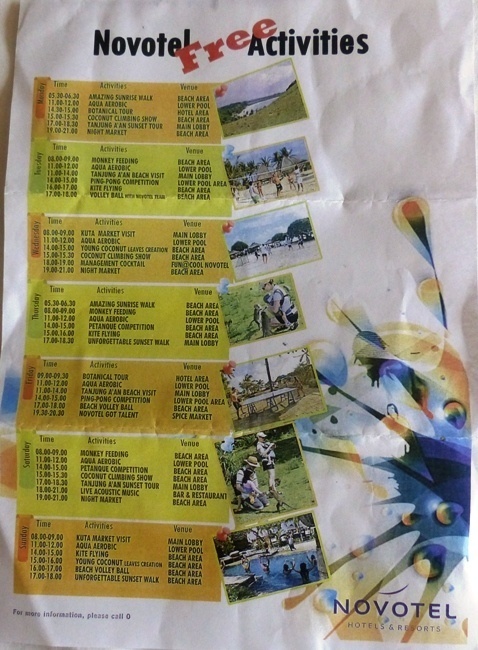 There is a crazy good included activity program, not just of activities around the resort but also to nearby places. This gave us a great opportunity to explore the surrounding areas and to keep as busy or relaxed as we wanted. We had fun learning about coconut tree climbing, going on sunset and sunrise tours, feeding the local monkeys and many other things including the live shows. S particularly enjoyed getting to go up on stage during one of the shows. We were very happy during our stay here and can’t wait to return sometime soon. You can read our full review here or click here for the latest prices of the best hotel in Lombok. This hotel just outside of Senggigi is a great choice, as long as you are happy being a bit out of town. This boutique hotel has just six rooms but they are a very high standard. We were very impressed by our family room which came complete with a king size bed, a separate room with bunk beds and a sitting area. Everything was well maintained and very comfortable. It’s one of the best family rooms we have come across in this price range. There was also good cable TV with plenty of channels for everyone, a porch with lovely tree views and plenty of cupboard space. There is a bar area and nice pool as well as a great included breakfast. The best part, however, was the friendly staff. They were so welcoming to our children and would entertain them whenever we were waiting (like for a cab). It’s a peaceful location but it is about 5 minutes out of town. It’s only about 20,000 rupiah for a taxi and these are easy to get, but it can be a bit annoying needing to go out every meal time as there is no restaurant here except for at breakfast. There are some local eateries and shops just down the (steep) road though. Click here to see the latest prices of one of the best Lombok hotels. This is our pick for the best hotel in Senggigi Lombok. We loved staying here on our first visit to Lombok. The Sheraton Senggigi is a large resort in Lombok with all the facilities you would expect from one of the best hotels in Lombok including pools, restaurants and bars. It’s beachfront and we particularly like the small water slide that came out of a big rock face! There are a wide range of room types and it’s a short walk from central Senggigi. 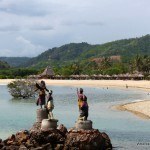 Click here to see the latest prices of this accommodation in Lombok. There are flights to Lombok from many places in Indonesia as well as some international flights to the rest of SE Asia. However, most probably you are going to come to Lombok from Bali. This section of the guide is about getting to Lombok from Bali and vice versa. There are basically two options – a Bali to Lombok ferry and a flight from Bali to Lombok. We have done both! Here’s our thoughts. There are basically two ferry options – a fast and a slow one. I have done both and I highly recommending avoiding the slow ferry unless you are on a very low budget. It’s painfully slow and we ended up spending a day getting from Bali to Lombok after delays. It’s also just painful. There were only wooden benches when I did it. There a wide range of fast boats from Bali to Lombok that depart from various locations in Bali. 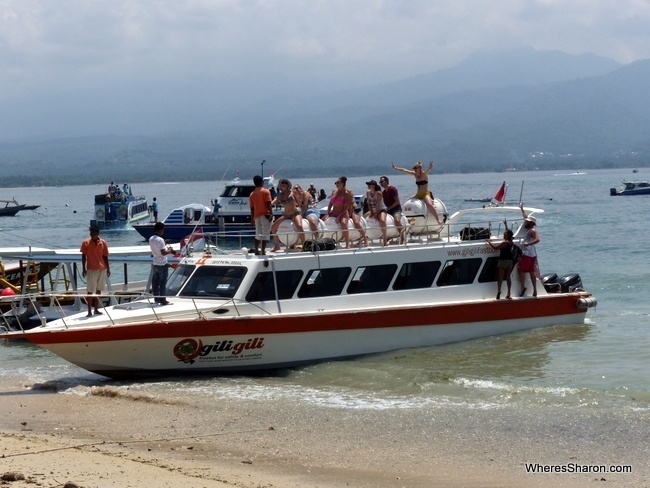 We took a Gili Gili Fast Boat which was the best value option for our trip. They picked us up from Seminyak, took us to Padangbai and then we had a fast boat ride to Gili Air. You can also take it to Lombok. We left Seminyak in Bali about 7:30am, had a 40 minute wait at Padangbai and made it to Gili Air about 11:40am. It was a very smooth ride and process. We had comfortable seats inside but you can also opt to sit on top. We were given cold wash cloths, water and cake on board. We were very happy. I will warn you that the fast ferry from Bali to Lombok is not cheap. It’s possible to find flights from Bali to Lombok that are cheaper. If you are heading from the Bali southern beach area to Kuta Lombok then a flight may be a faster and cheaper option. A ferry worked out better for us as we were starting at the Gili Islands. If we had headed straight to Kuta Lombok, we would have flown. More information in our guide to the Gili Islands. Lombok to Bali flights and vice versa are a great option. Several airlines take this route and they are generally very cheap. On our first trip we booked these at the last minute and they were still less than AUD$50. You are sure to be able to find a better deal now. The flight is less than 30 minutes and straight forward. The two airports are located very conveniently to the southern beach areas in both Bali and Lombok making this an especially convenient option. In case you couldn’t tell yet, we loved Lombok! It truly is a little paradise and although it certainly isn’t undiscovered, it’s also not on the main tourist route yet making it an excellent time to go and visit this beautiful, tropical island. My favourite part about Lombok was actually just driving around. There are so many stunning vistas and I would love to investigate hiring a car next time we visit to make it even easier to just get out and about and discover our own little coves. I do love Bali, but next time we visit this part of the world, I will be heading straight to Lombok. People talk about it being like Bali x years ago and while I have no idea about that, I do know that it is a piece of paradise that I want to keep discovering. It’s also whet my appetite to get out there and see more of Indonesia. So, what are you waiting for? Get out there and explore Lombok! 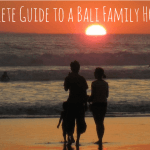 You may also like to read our complete guide to Bali with kids and the Gili Islands. We also have articles about other places in Indonesia, particularly Java in our Indonesia travel blog. Have you been to Lombok? What’s your favourite things to do? Disclaimer: This article contains affiliate links. This means that if you make a purchase after clicking on one of these links that we may receive a small commission at no extra cost to you. Thanks for supporting us! 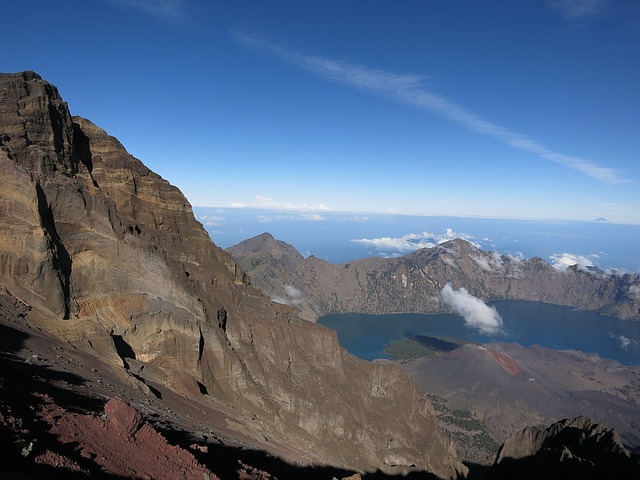 Love the photo of Mount Rinjani! That looks like a great thing to add to my list of places to visit! Thanks Shannon. Lombok is stunning! Hi Shannon, its a great blog! Any recommendation for the currency they use in Lombok? Is it all rupiah or they accept USD too? Hi Yaya! You need Indonesian rupiah. 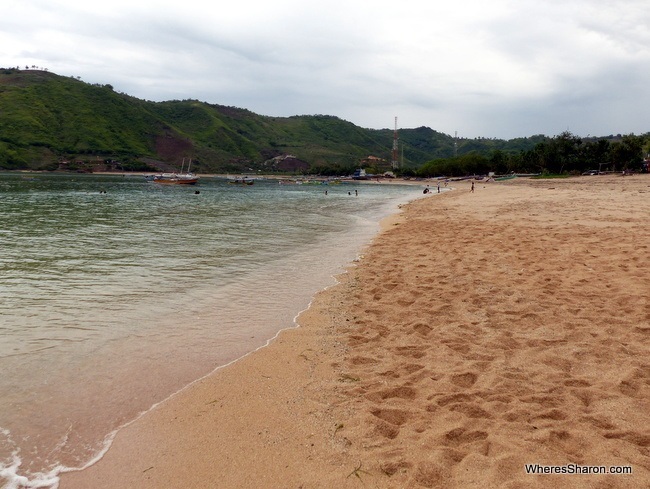 When is the best time to visit Lombok? I am planning a trip next year. I have heard of friends going to climb mount rintjani, and visiting gili island. All came back with the same experience, it is like a paradise. Hi Mike! It’s best in the dry season which I’m pretty sure is around May-October. We were last there in January though and there weren’t any problems. Hi Jolene! I am trying to remember. The only time I remember noticing dogs was when we stayed a 5 minute drive outside of Ubud. The one time we tried to walk into town the dogs were a bit scary. Otherwise, I don’t even remember seeing them (which doesn’t mean they weren’t there) in either Bali or Lombok. Thanks Sharon! 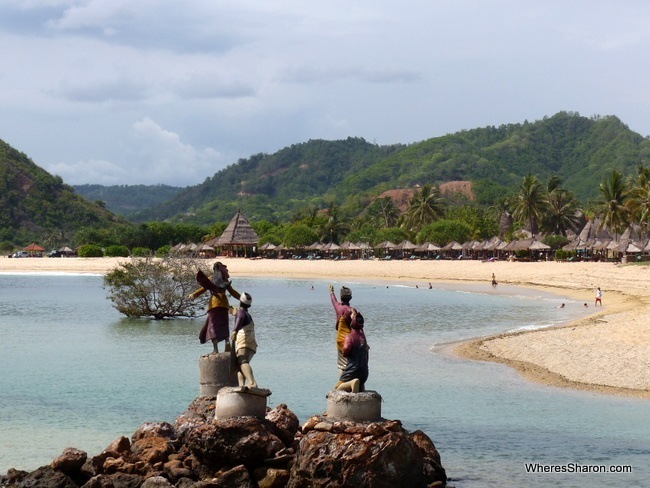 this is an useful guide blog to plan to visit Lombok.